Axl Rose has broken his foot ahead of tonight’s arena launch of the 2016 Guns N’ Roses reunion tour in Las Vegas. TMZ reports the injury happened during when Axl slipped onstage while singing "Mr. Brownstone" during the band’s exclusive club show at The Troubadour in Los Angeles on April 1. The rocker had surgery this past week to repair the fracture. 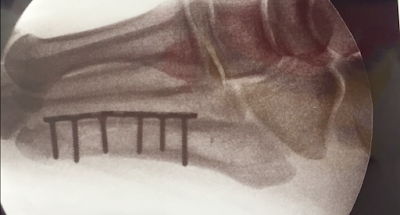 Rose tweeted: “This is what can happen when you do something you haven't done in nearly over 23 years,"Internal Fixation"
"Axl sustained a fracture of the fifth metatarsal, which is one of the bones in his foot,” explains Santa Monica-based foot and ankle specialist Dr. Rachel Triche in a video linked from GNR’s social media accounts. “Axl underwent what we call an open reduction internal fixation where we go in and put the bone pieces back together and realign them. We placed a plate and screws in order to hold them in place while it's healing. "Right now he's in a cast and we're limiting how much weight he can put on it. He's having his set designed for the stage so he can still perform for everyone. He will be limiting the weight on the front part of the foot for about four weeks and we'll let him gradually progress from there so we can get him back to his stage-ready action." 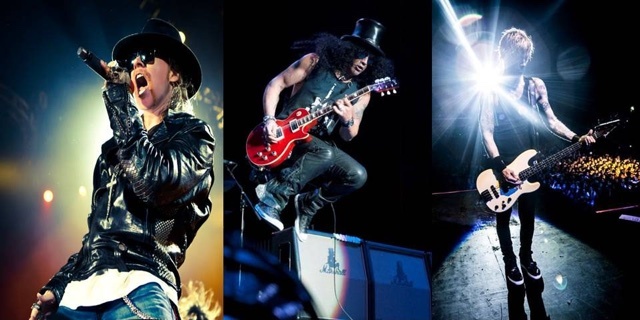 Guns N’ Roses will perform two shows this weekend at the new T-Mobile Arena in Las Vegas, NV before headlining Coachella on April 16, playing a pair of Mexico City shows followed by a return for an April 23 set at the second weekend of Coachella. A full summer stadium tour of North America will open at Ford Field in Detroit, MI on June 23, with shows set to wrap up in San Diego, CA on August 22.